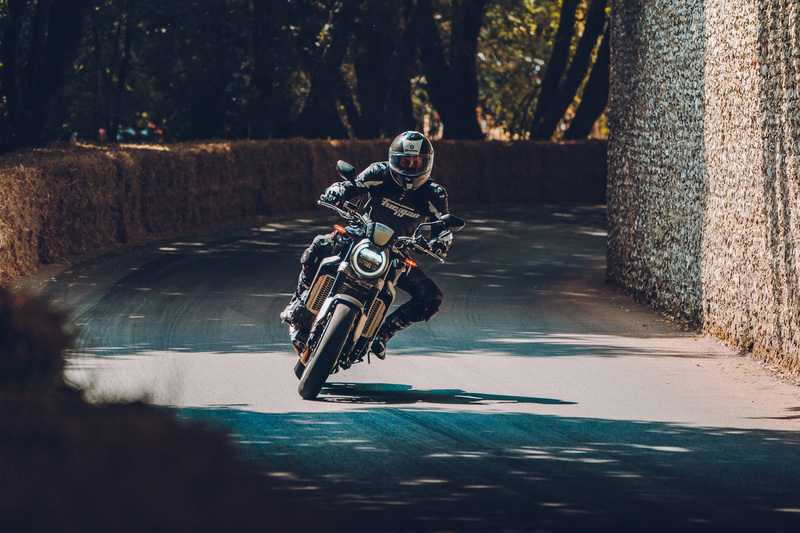 Is there a more intimidating place to test a new bike than the famous hill climb route at the Goodwood Festival of Speed? If so, we’re yet to stumble upon it. Thousands of fans line the course – which is also flanked by sharp flint walls – the surface tends to be awash with dust and dirt from sliding supercars and broadcast cameras are trained upon your every move. 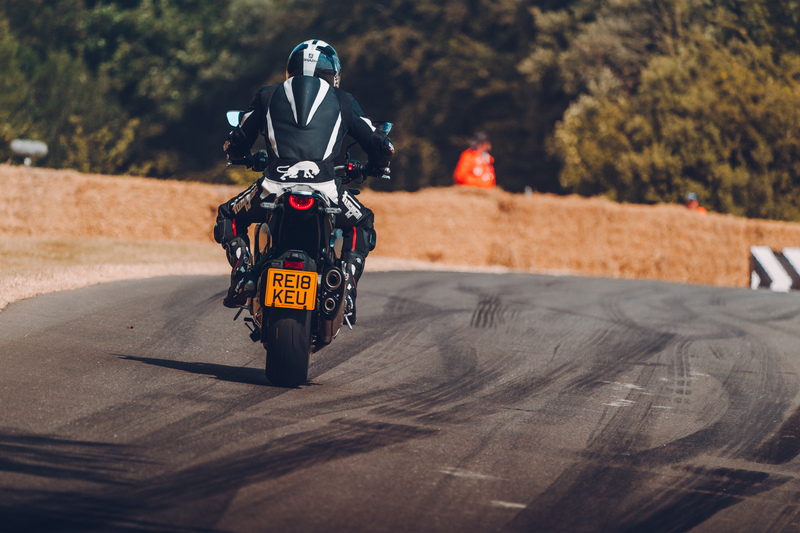 Alas, it was in this very amphitheatre of potential pitfalls that we made our first acquaintance with Honda’s epic CB1000R and we’ll gladly admit, it was a bona fide gent. 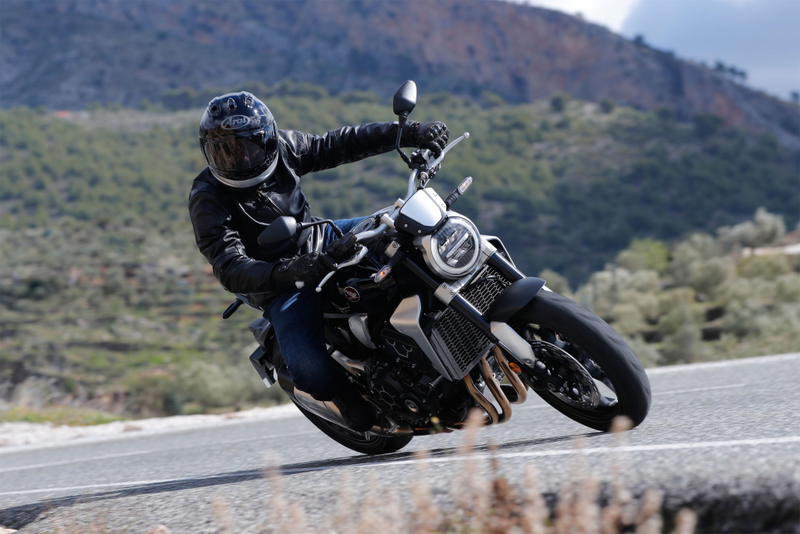 Throttle response proved buttery smooth, the power delivery was linear, cornering suitably predictable and the quick-shifter fitted to the ‘+’ model made slotting through the gears a crowd-pleasing joy. Here was a machine that not only looked the business, it also out-performed many of the modern sports bikes that tackled Lord March’s driveway that weekend. We needed another fix, so Honda kindly sent on our way for a week. Rather than jumping on retro bandwagon, Honda decided to go its own way when styling its idea of a modern cafe racer/street bike/or whatever category you’d like to place it in. The result is a machine that boasts all of the machismo found in madcap super naked rivals, but with an attention to detail and bespoke design flourishes that are more typically found in the custom scene. 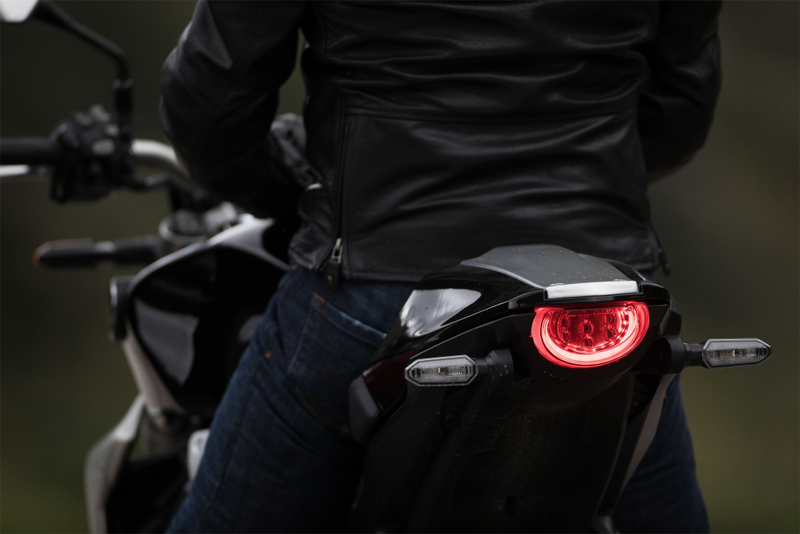 Honda’s arresting four-into-two exhaust sit beneath a big, boxy, brushed aluminium radiator block, while the angular fuel tank tapers into a skinny seat that finishes with the eye-catching rear light cluster. 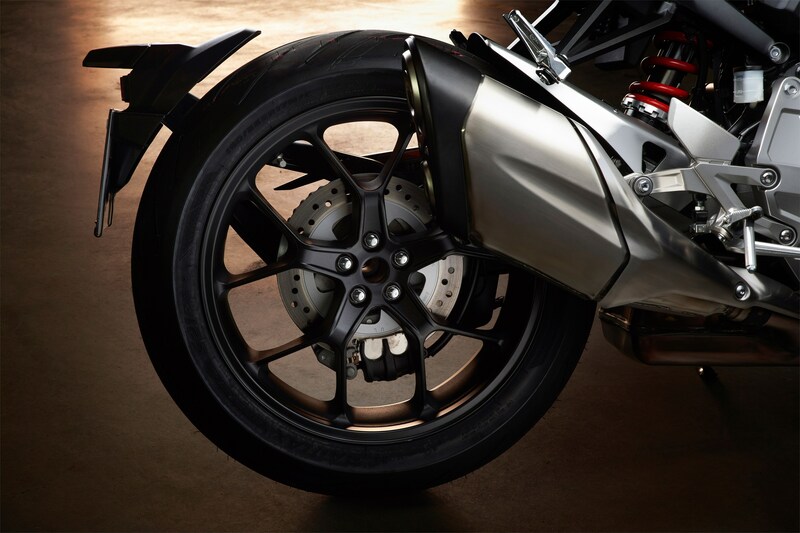 It’s muscular and aggressive, but with enough finesse to pull it back from the extremes found in rivals from KTM and Aprilia. 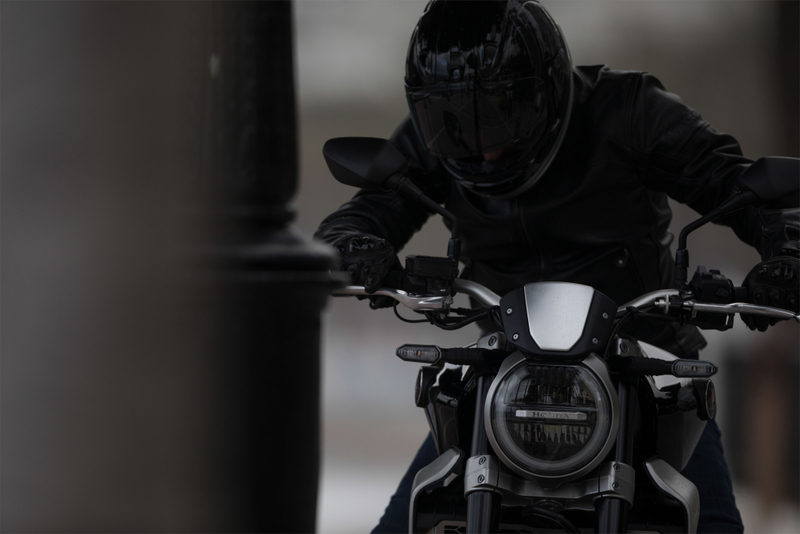 The seating position feels fairly upright and the bar angle is well judged, sweeping back slightly so the rider can maintain a relaxed posture when cruising, or can hunker down when the mood takes. 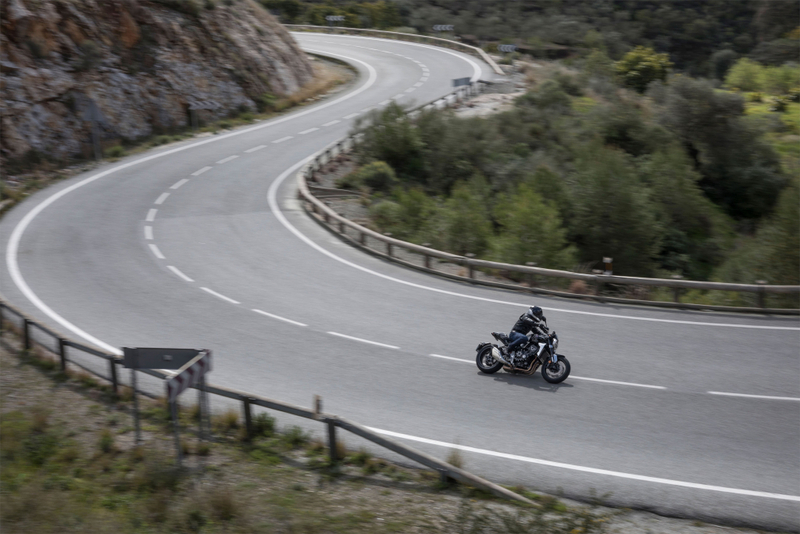 Despite the pew erring on the slender side, we actually found the CB1000R+ to be a relatively comfortable long distance ride. It seemed to mould around us, although that might not be the case if you are of a larger build. 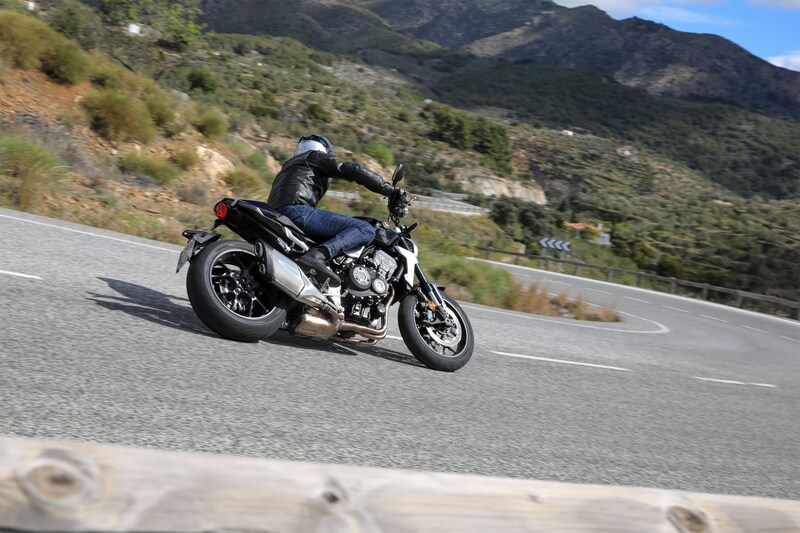 Of course, and as with many modern machines that have to adhere to lengthy legislation, the CB1000R+ is slightly let down by the beefy exhaust silencer and rear number plate hugger. They are both too large and look incredibly awkward, but they also happen to be extremely easy to swap out, which is what we imagine many customers will end up doing any way. With that in mind, we couldn’t help thinking Honda’s Neo Sports Café was ripe for some customisation and exactly what some of our bike-building friends could do with the base bike. Maybe that’s a project for the future. Fitted with the 2006 CBR1000 Fireblade engine, this stylish café cruiser was never going to be a slouch, but the way in which it piles on the speed is nothing short of impressive. Honda has taken its spanners to the powerplant and has pretty much overhauled the thing, meaning it now meets more strict emissions regulations and kicks out a not-so shabby 143bhp. 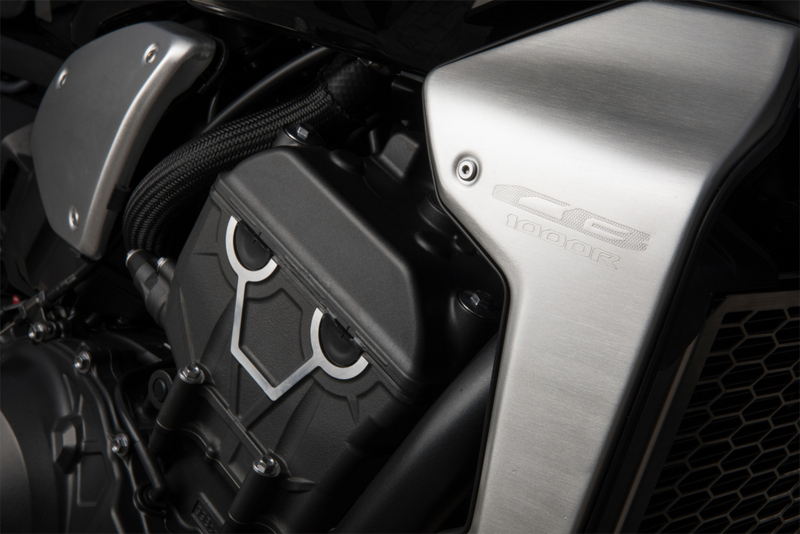 The first few cogs are geared fairly short, making the quickshifter seem like an intelligent option if you’re a fan of pinning the throttle and cracking up through the range at lightning pace. But even when cruising in sixth gear, a twist of the right wrist sends enough power to the rear wheels to dispatch of overtaking manoeuvres in the blink of an eye. It really is rapid and if you’re inclined to the odd wheelie, you’ll get along like a house on fire. 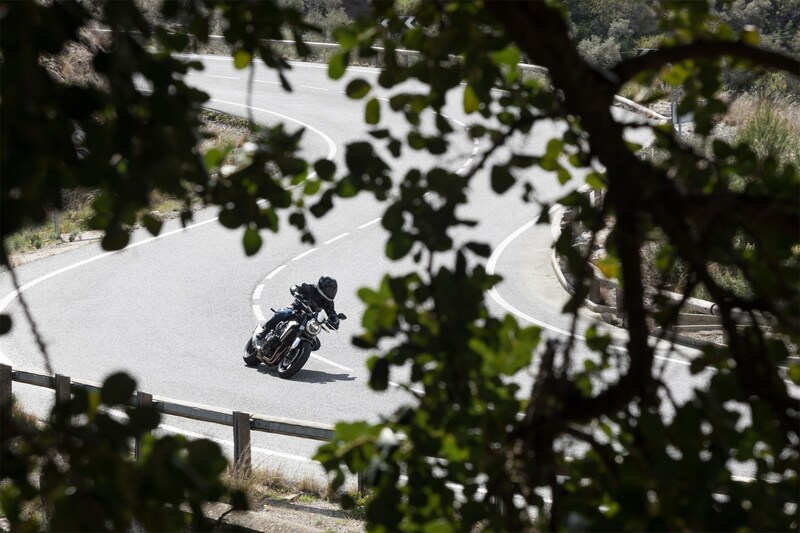 Cornering is predictable but stupidly fun, while a clever new traction control system means it is possible to flick between Rain, Road and Sport modes to suit a variety of driving situations. In fact, we found ourselves selecting Rain mode when hammering the motorway networks, purely because it limits the throttle response and adjusts the power mapping, making it easier and more comfortable to maintain speed due to the lack of cruise control functionality on offer. However, we really are nit-picking, because the CB1000R+ is a joyous machine to manhandle, its brawn rarely coming across as intimidating or that power overwhelming. It’s stupidly fast in a straight line but so composed through corners, while somehow managing to remain comfortable on longer rides. There will be some out there that just can’t get on-board with the big Honda’s futuristic styling, but it’s very difficult to pick holes in the attention to detail and general fit and finish, which is up there with the best in class. Bash the styling all you like, Honda has never really been one to push the envelope when it comes to manufacturing motorcycles, but the CB1000R+ feels truly unique and the entire approach is commendable. The fact that this, the brilliantly retro CB1100 RS and the latest Monkey exists is just magnificent in our eyes. 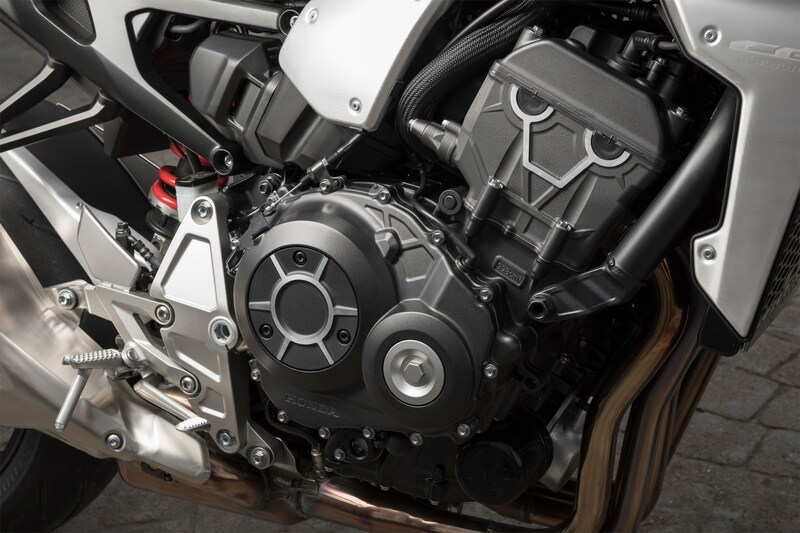 The CB1000R+ might not be the fastest super naked out there and it might not be the scariest thing to throw a leg over, but it does everything else so well, blending eye-watering performance with a comfortable ride and first class build quality. It’s Something that genuinely can be used and enjoyed everyday, no matter the journey, and we want one. Desperately.